Sen. Jim Dabakis has represented Salt Lake City since 2013. 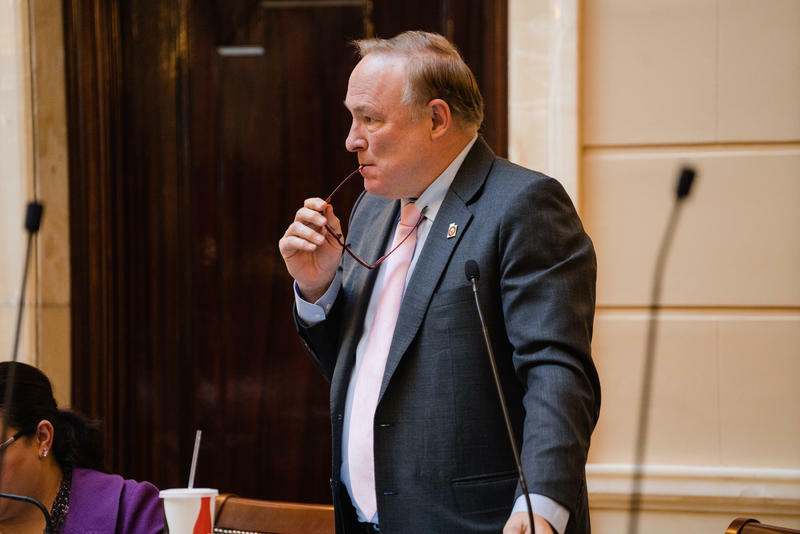 The Utah Legislature is losing one of the most vocal and outspoken members of its minority caucus. Democratic Sen. Jim Dabakis announced Tuesday he won’t seek re-election at the end of his term this year. Dabakis represents downtown Salt Lake’s Senate District 2, one of the most Democratic seats in the state. In a video posted to his YouTube account, Dabakis said it was time for a fresh face. “Everything I have, I’ve left on the table over the last six years, and it’s time for me to make way in a citizen legislature — to make way for some other citizens,” he said, orchestra music swelling in the background. Dabakis is the only openly gay member of the Legislature. He's built a large and loyal social media following as the bluest lawmaker in a deep red state — and has often ruffled the feathers of his conservative colleagues during floor debates. Senate President Wayne Niederhauser, R-Sandy, said he’d miss Dabakis, whom he called a friend, and said he’d brought an important perspective to the body. “He’s raised a voice of opposition at times — and we welcome that," he said. "And he represents a constituency that needs to be heard." Dabakis wouldn’t say if he had eyes on another office, including the Salt Lake City mayor’s, but didn’t rule out the possibility of another run in the future. As for his eventual replacement, he said he hopes it's someone with enough courage to take on more contentious topics like air quality and public lands. "I think it needs to be a loudmouth," he said. "I think it needs to be somebody from a safe, secure seat that has the fortitude to stand up here like I did today and say, 'You guys are screwing this up on Bears Ears.'" Earlier this month Salt Lake City Mayor Jackie Biskupski nominated state Sen. Jim Dabakis (D-Salt Lake City) to represent the city on the Utah Transit Authority Board. But on Tuesday evening the city council voted down the nomination.